We are pleased to announce our host for this years concert is Frank Vascellaro of WCCO 4 News. 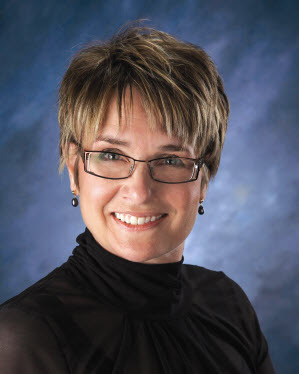 Dr. Kristin Tjornehoj is a Professor of Music & Education at UW-River Falls where she conducts the UWRF Symphonic Wind Ensemble and St. Croix Valley Orchestra, and teaches related courses. She holds a BA and BM from Luther College in Deborah, IA, a Master's degree in performance from the University of Minnesota, and a Ph.D. in Music Education from the University of Minnesota. Karla Miller is in her 19th year as full-time Music Instructor/Director of Choral Activities at North Hennepin Community College in Brooklyn Park, Minnesota. Prior to her full-time position she was employed part-time as Choral Director and Piano Instructor. She now directs three choral ensembles as NHCC: The College Choir, Chamber Singers and a Community Choir which draws many of its members from surrounding suburbs. Her classroom teaching includes teaching beginning Music Theory, Music in World Cultures and History of Rock and Roll. Karla also directs the Northwest Singing Seniors, a performing chorus of retired persons from the northwest metro area, and she has served as organist/accompanist at Brooklyn United Methodist Church in Brooklyn Center for eleven years. Karla received a Bachelor of Music degree in Piano Performance and a Vocal Music Education degree from Augsburg College in Minneapolis. Her Master of Music Degree in Choral Conducting and Choral Music Literature is from St. Cloud State University. She is currently a member of ACDA, MMEA, MSCF and MEA/NEA. Heroes of '76 unit of Minnesota Chapter #25, National Sojourners is an organization of Freemasons who have served or are serving in the Military of the US or its allies. Bob, is the creator of the 9-11 Tribute Concert. Bob announced last year that he was retiring from actively producing the 9-11 Tribute. "It was a great 10 years and I deeply appreciate the support from everyone. I'm giving the concert to the community and I hope some will feel inspired to want to form a committee that will continue the legacy we have all started." Bob's dream of the 9-11 Tribute continuing on is alive in the newly formed Minnesota 9-11 Tribute. Lake Harriet Bandshell – Tuesday, September 11, 2012, 7:00 P. M.
*Heroes of '76 is an organization of Freemasons who have served or are serving in the Mil itary. Flag Tribute: Dale Seubert. Color Guard: Don Bauman, Eldon Larson, Jay Leitzow, Robert Selden, Fred Vihovde and Don Wurden. The Minnesota 9-11 Tribute committee was organized this past Summer to ensure that this annual event takes place every year on 9-11. We invite your support of donations and time to continue this annual event. Please contact us at sept11tribute@gmail.com to help.